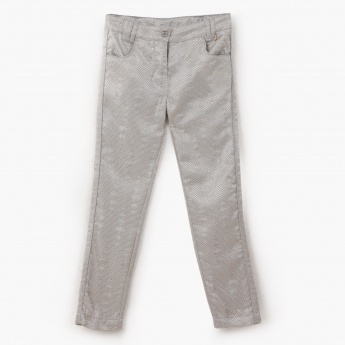 Uplift your girl's style game with these striking pants. 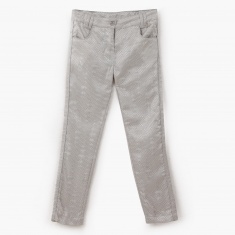 In a soft tone, they feature a woven textured pattern all over for a distinct look. 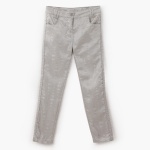 The four pockets come with glittering accents for added dazzle.